All Threads - Robison-Anton embroidery thread and many other embroidery supplies. Free shipping. 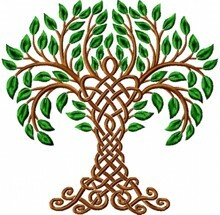 Emboridery Supplies.com - Offers supplies for machine embroidery. Grandma's House - Sewing and needlecraft patterns, hot iron transfers, needlecraft & sewing books, vintage handkerchiefs and linens, & estate sale treasures. The Sewphisticated Stitcher - Machine embroidery supplies. for quilting, embroidery, and custom sewing thread applications, prewound bobbins. Sew Essential - Offers over 3000 sewing related products encompassing dressmaking, machine embroidery, cross stitch, haberdashery, patchwork and quilting and more. Tristan Embroidery Supplies -Offers Aurifil threads for machine embroidery, quilting, etc. Denver Fabrics - Create embroidery machine designs and projects with Irish linen fabric and sewing notions from Denver Fabrics. Sewing machine needles, stabilizers, Sulky thread. Fat Quarter Shop - Specializing in fat quarter bundles for the quilting enthusiast. Offers Moda, Benartex, P&B Textiles, RJR Fabrics, Timeless Treasures, Marcus Brothers, and more. Kimkatz Kimono Vintage Textiles - Beautiful vintage kimono fabrics. Wide Selection. The Quilter's Stash - Quality 100% cotton fabrics from your favorite manufacturers, new & discontinued prints. Sewzanne's Fabrics - Online fabric store with emphasis on quality childrens knits and quilter quality wovens for your sewing projects. All Cross Stitch - Offers hand cross stitch patterns, kits, books and notions. Berlin Embroidery Designs - Offers a large selection of hand embroidery kits and information on commissions and classes. 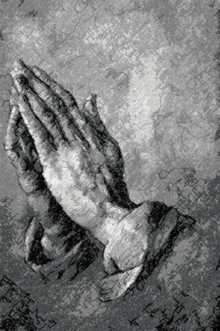 Cross Stitch Collectibles - Fine Arts counted cross stitch patterns (for hand embroidery). Cross Stitch Kits and Needlepoint - Wide range of cross stitch, needlepoint tapestry and embroidery kits, including samplers and cards, all at discount prices. Embroidery Billboard - Collection of free designs from dozens of digitizers. 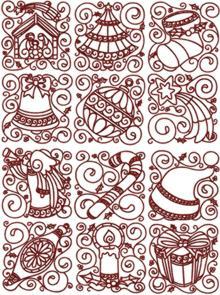 Embroidery Designs from Renaissance Woman - Free embroidery designs for download. Embroidery Font Shop - Specializes in embroidery font designs for monogramming. Also offer instant downloads and most formats are available for the home and commercial sewer. Micnali Designs - Offers machine embroidery designs, featuring Australian Birds. The Quiet Village - Woodscape Build and Paint Kits, Needlecraft Kits in Counted Cross Stitch, Needlepoint, Latch Hook, Quilts, & Afghans. Porcelain Plates, Ceramic, Glass Collectibles, Porcelain Dolls, Radio Control Vehicles and more. Robens Sew Many Crafts Inc - Embroidered clothing and personalized gifts for any occasion and digitized embroidered logos with company & employee names. SheriO Productions - Offers embroidery designs by several designers. 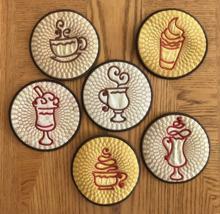 SK Embroidery and Crafts - Offers embroidery designs and finished products. Spring Creek NeedleArt - Angels, bears, cats, children & baby, Christmas, sports, transportation and more. Many beginner patterns. Stitchery Stop - Primitive stitchery and penny rug pattern packets. Stitch and Things - Cross stitch, needlework and embroidery kits. UK Cross Stitch at Superstitcher.com - All the latest kits from Anchor, DMC, Heritage, Bothy Threads and many more leading brands. Un-FROG-ettable Designs - Comical frogs and much more. Amanda's Art Quilts and Embroideries - Beautiful art quilts and embroideries, inspired by British history and mythology. Aunt Annie's quilt Nook - Offers patterns, fat quaters, books, fabric. Easy Quilt Kits - whether you are a beginner or simply short on time, you will find our precision laser cut quilt kits are quick and easy and a joy to put together . Easy Quilt Kits we make quilting easy! Kaye Wood's Quilting and Sewing Site - The place to go for quilting patterns and books, notions, templates and the latest tips and techniques in the quilting world. Free email newsletter available. A1 Sewing Machine Repair Specialists - Parts, Accessories, needles, for most domestic and industrial sewing machines, also machine sales and service. Buy/Sell Embroidery Machines - Classifieds service for the machine embroidery and sewing industry. Sell your used embroidery machines, digitizing software, sewing machines, and more. Haka Sewing Furniture - Haka offers unique styles and height choices: sewing, serging and quilting cabinets, cutting tables, cut-sew-serge tables and custom designs. Hand crafted in Canada since 1989.
easythreads - The easy-to-use Thread Management + Conversion Program - Convert embroidery threads from one brand to another fast and easy. Download your free trial version today to see it for yourself. Craft Site Directory- Your guide to arts and crafts on the internet. Embroiderytop - Catalog of best sites of embroidery. 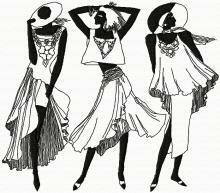 Lindrix - Information on textiles, fashion design, and a gallery of projects. Machine Embroidery from About.com - Good collection of machine embroidery links. 100 Sewing Links - Browse the Sewing Links to find sewing sites on the Internet. Beta Designs - Beta Designs provides personalized military stickers, t-shirts, sport logos, and more. Chantal's Stained Glass - Free stained glass patterns. Wag's Staff - Custom Embroidered Shirts.